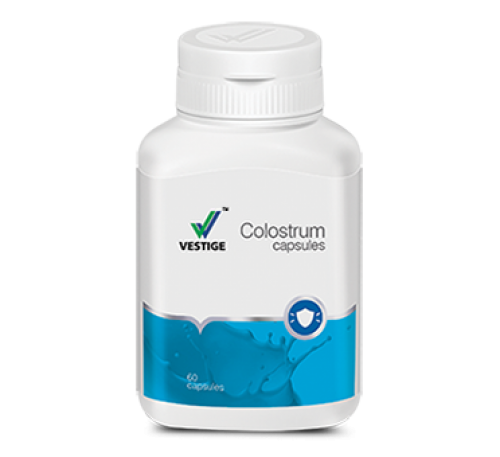 Vestige Colostrum is a rich natural source of Immunoglobulins that helps in strengthening the immune system and increases protection against various diseases. Collected within the first 6 hours after a calf's birth, Bovine Colostrum maintains nature's perfect balance of immunological and body regulating biologically active proteins. It is a complete formula of essential vitamins, minerals, essential fatty acids & amino acids required for the optimal functioning of the body and maintaining overall health.